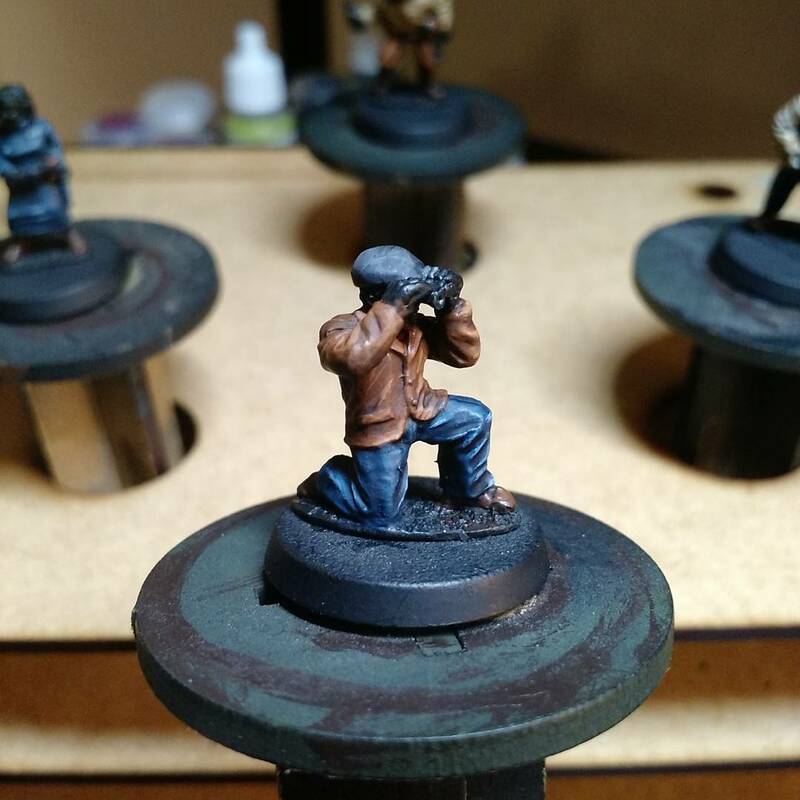 For Bolt Action Doubles at Adepticon 2017 Ben and I will be running a never-before-seen-team: The Partiboys. What exactly are the Partiboys? Well, simply put, the Partiboys are the hardest hitting, filthiest, most WAC army on the Bolt Action tournament scene. Partiboys is the affectionate name Ben and I have given our Partisan army. The Bolt Action Doubles event is, above all else, about having one hell of a good time. We think this list will offer both us and our opponents the chance to have some great games. As neither Ben or I have ever played as or against Partisans in Bolt Action we both are off the edge of the map. Not only that, there is little to no information about Bolt Action Partisans out there on the web either. Thus we are firmly in uncharted waters. And I could not be more excited. We are taking a chance with the Partiboys. Their national rules are quirky, their unit options are limited (good luck fielding any sort of armor!) and they rely on gimmicks and tricks. On top of all that, a proper Partiboys list requires something we have not tried before in Bolt Action; lots and lots of miniatures. The current lists we are testing out are borderline horde armies and I gotta say, it’s been a blast (tick, tick, BOOM). So far I have only made progress on the Black Tree Design models. The rest are on order and should be arriving the next few weeks. I am pleased with the first batch of models but I need to be careful. There is the worry that all the mixed clothing will not look like a cohesive army. After all, partisan and resistance fighters did not wear a standard uniform. So to tie them all together we are going for a striking basing theme. Renedra makes paved bases and we ordered a few packs for an urban theme. Once the bases arrive I’ll be able to plan out the scheme and in theory, it will provide a cohesive look for the whole army that is otherwise very mixed in color palette. Oh, we cannot forget the Partibus either, that should arrive mid-December. Stay tuned for more! Hey! I’m gald to see that I’m not the only one who plays with partisans. Currently, I’m playing a 44 players historical campaign with partisans and i’m the second with 5 victories and 0 losses. I’ve played against germans and italians (next player has japanese). There is specially one unit that I love to play. The 20 inexpirienced partisans squad, all equiped with pistols. 80 points for 20 miniatures that can crush easily 10 veterans on close combat or you can use it to distract the enemy. The other unit I love too is the innexpirienced sniper. You have a 35 points sniper who doesnt have the -1 of beeng unnexpirienced (only affect pins and the loss the companion). 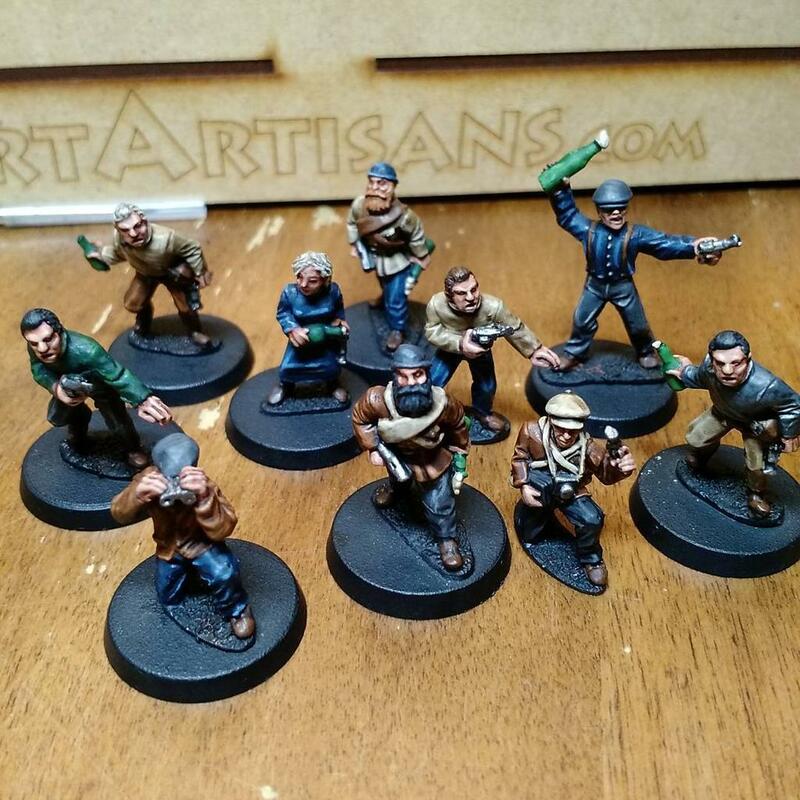 Regarding where to buy miniatures, I strongly recomend the empress miniatures (the spanish civil war range) and also the Footstore miniatures (inter war period range). Or if you are handy, you can buy the marines squad of bolt actiond and the germand squad and mix the bits to obtain a quite good partisan. Hi Albert! Great to hear from another Parisan player! A 44 player campaign? That sounds amazing! You will have to share the details with us. Is it a map campaign? Turn based? I am right there with you in regards to the inexperienced squad with pistols. I am currently running two squads of 12. The only reason that I am not using more is because trucks max out at 12 for the transport capacity. I could not agree more about the Empress and Footsore miniatures. We are using a huge mix of models for our 1600 point teams army list. So far the minis are mixing together seamlessly. Be sure to let us know how the campaign ends up. Good luck!